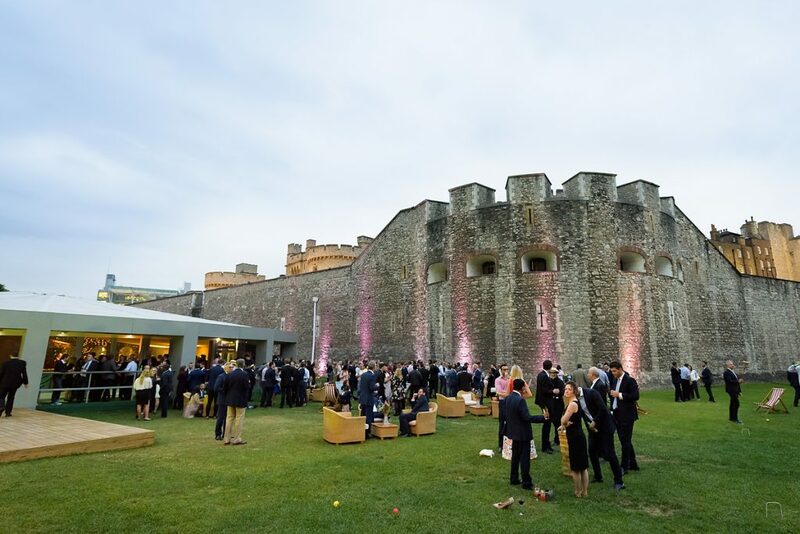 A global insurance company based in the City hosted a summer drinks reception at the beautiful Pavilion at the Tower of London in June. 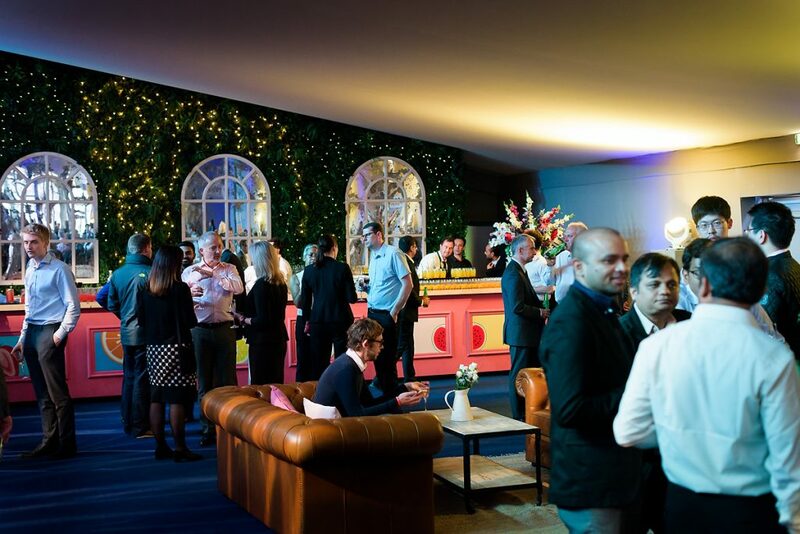 The theme of the day was ‘British Summer Party’ – and you couldn’t get more quintessentially British than a party at this iconic London venue. The reception kicked off with Pimm’s, sparkling wine and cocktails in the grounds of the iconic London landmark. The venue comes complete with private gardens within the moat of the Tower of London, where guests enjoyed drinks and entertainment. The grounds were filled with summer-themed furnishings and deck chairs, guests tried their luck at giant jenga, giant connect four and croquet. 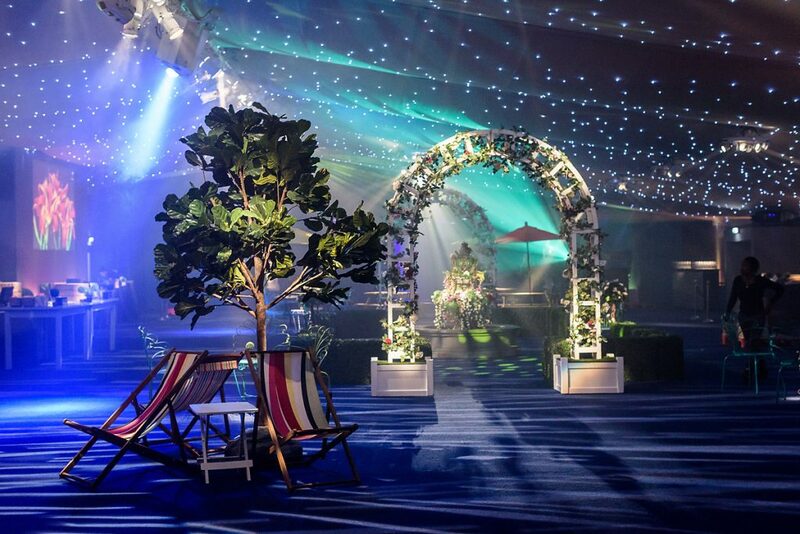 Fantastical summer theming was added throughout the venue, from floral arches and hedges to colourful fountains overflowing with floral arrangements. Striped deck chairs, picnic tables and sparkling lighting completed the look. A thousand guests partied the night away in the themed summer space, where they captured their best poses in a photo booth, sampled expertly mixed cocktails from Heads, Hearts and Tails at the bar and hit the dance floor with music from our DJ & Disco. The summer celebrations were catered by our award-winning partner Create Food. Create served a menu of seasonal favourites, including homemade Create burgers, spiced cod cakes, vegetarian falafel burgers and a selection of side salads. For dessert guests enjoyed citrus lemon tart with Jude’s ice cream tubs – because no summer party would be complete without ice cream! 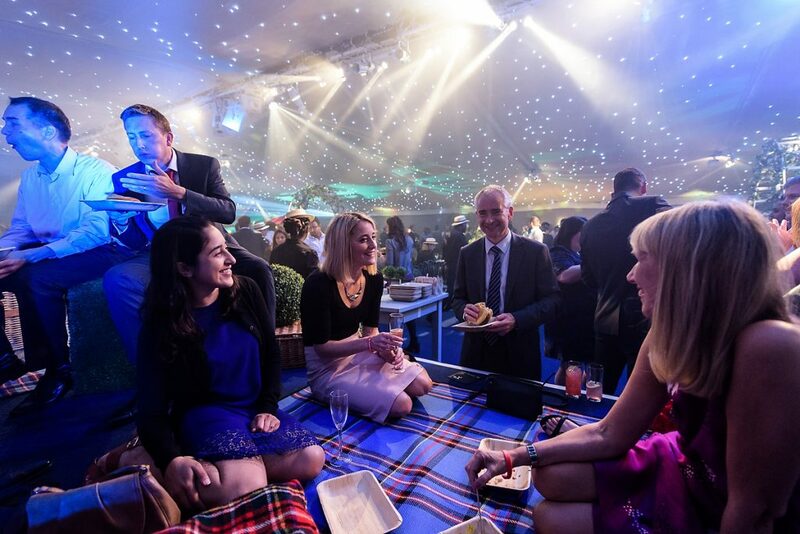 Nestled in the historic royal palace; the Pavilion at the Tower of London boasts unrivalled views of London’s most famous landmark and is the perfect space for both summer and winter events. Find out more about the venue here.